Zion Ponderosa is located on the east rim of ZION NATIONAL PARK and shares nearly seven miles of common border with the Park. This ranch combines the breathtaking scenery of Southern Utah's Color Country with the state's most popular National Park. Zion Ranch Resort LODGE is located in the high, mountainous terrain of the Colorado Plateau, which is deep in the heart of the Wild Wild West! Surrounded by a forest of ponderosa pine, cedar, and wild oak, the Zion Ponderosa Ranch Resort Hotel is the ideal location for a western vacation that you will never forget. They have a team of young, healthy horses and a wide variety of trails throughout the 10,000-acre ranch. 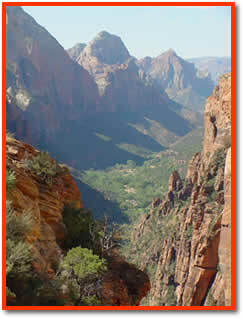 These trails run parallel to the park fence and boast some of the most scenic views in the Zion National Park area. The horseback riding is one of the most popular but certainly not the only activity available for guests at the ranch. Guests can choose from the best selection of outdoor recreation in the western United States, including: guided ATV tours, mountain biking, spectacular hiking, rock climbing and rappelling, paintball and much more.